We apprciate when clients come to meetings with boxes of cookies. Our client Scratch & Grain won us over from our first meeting when the owners brough 4 boxes of cookie baking kits for us to enjoy. We can honestly say that they are some of the tastiest cookies you will ever bake at home. In 2015 and again in 2016, Scratch & Grain was featured on Shark Tank. In its first appearance on the TV show, Leah and Taya of Scratch and Grain was able to secure a lucrative offers from multiple sharks and made a deal with Shark Barbara Corcoran. 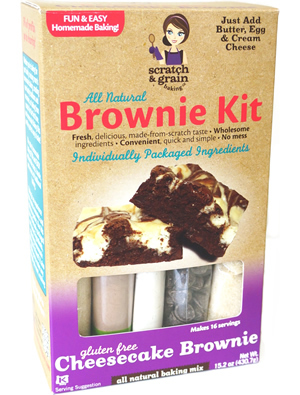 Scratch & Grain is in major retailers such as Whole Foods, Costco, Fred Meyer, and Target. Pipcorn and Scratch & Grain Shark Tank Update Unable to load video.